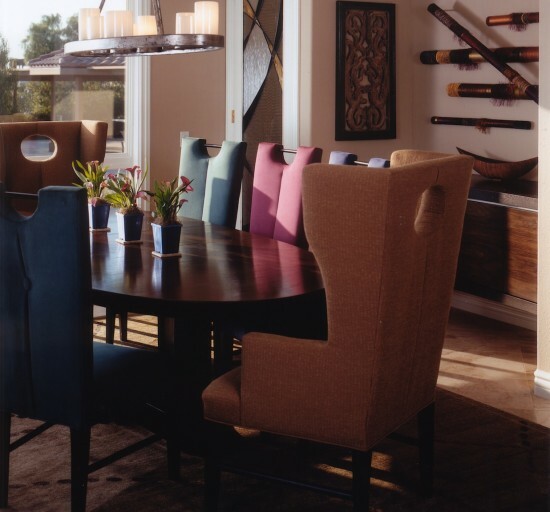 This Olivenhaim dining room showcases a set of Halo Dining chairs by San Diego interior designer Jim Walters that were specifically designed to satisfy this space. Their cut-outs are echoed in other shapes throughout the room, such as the oval ceiling chandelier.
" 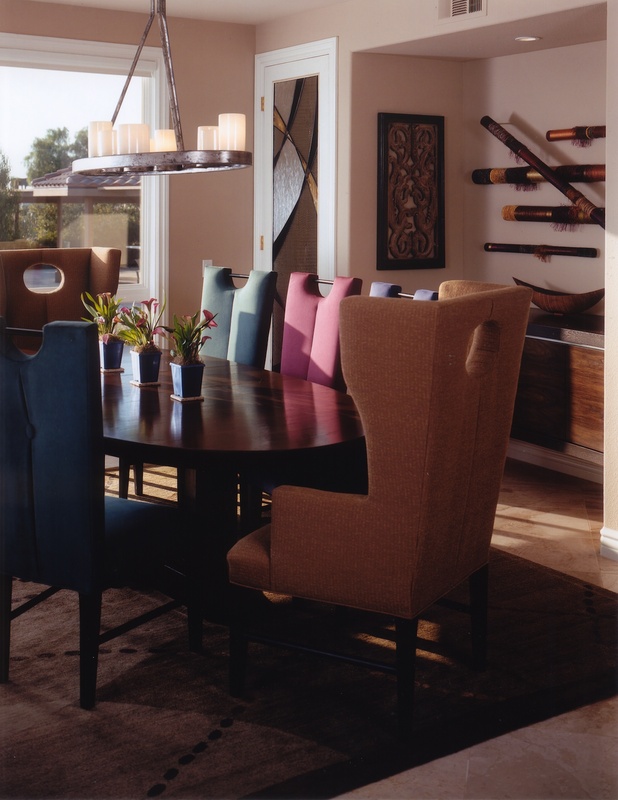 Halo Chairs, designed by Walters, add whimsy to the formal dining room. A stained glass door complements colorful wall oboes by Myra Berg."